What’s Up with the Rohingya Refugee Crisis? The Rohingya are an ethnic Muslim minority living primarily in Myanmar’s western Rakhine state. 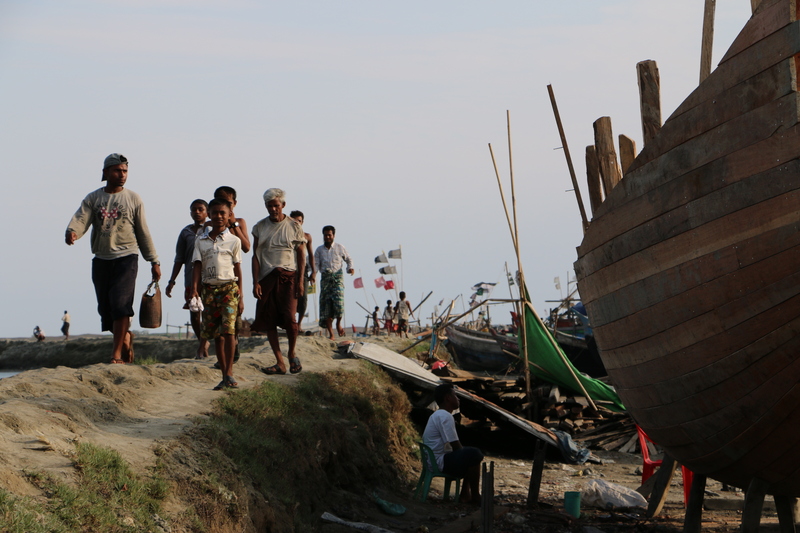 There are roughly one million Rohingya in Myanmar, which is a third of Rakhine’s population. The Rohingya have been largely identified as illegal Bengali immigrants, despite the fact that they have been in Myanmar for centuries. The community has been effectively rendered stateless by the Myanmar government. The government has refused to grant the Rohingya citizenship status so the vast majority of the group’s members have no legal documentation. The military junta introduced a citizenship law in 1982, which stripped the Rohingya of access to full citizenship. The Rohingya were given temporary identification cards known as “white cards” in the 1990s. The white cards held no legal value but represented some minimal recognition of temporary stay for Rohingya in Myanmar. The Rohingya live in despicable conditions in Myanmar. The government has placed restrictions on marriage, family planning, employment, education, religious choice, and freedom of movement. There is immense systematic institutionalized discrimination against the group. Rakhine being the least developed state in Myanmar exacerbates the tensions between Buddhists and Muslim Rohingya. More than 78 percent of the households live below the poverty threshold. It is important to analyze the Rohingya refugee crisis among the larger refugee displacement problem occurring in the world today. The international community has largely ignored the Rohingya. A UN report revealed that since a military “crackdown” on October 9,2016, more than 90,000 Rohingya have fled their homes and more than 60,000 have fled to Bangladesh. Several activists, including 11 Nobel Laureates, have already warned the Suu Kyi government that a human tragedy amounting to serious crimes of ethnic cleansing and crimes against humanity is unfolding in Myanmar. Despite several warnings of violations of international law and international human rights law the international community’s response has been very weak. It wouldn’t be an exaggeration to list the Rakhine state alongside Kosovo or Darfur. The response from the international community has been mixed at best. The plight of a helpless minority group is being overshadowed by the likes of Donald Trump, Brexit, and Syria. The Obama administration greatly helped the situation when it lifted the sanctions on Myanmar in its final months. One group that has been particularly active about the Rohingya refugee crisis is the Organization of Islamic Cooperation (OIC). Malaysian Prime Minister Najib Razak, together with the leaders from other Islamic nations, denounced the mindless killings and violations of girls. The Muslim community has taken up the cause of the Rohingya to some extent. It is important to note that if it is only Muslims speaking out in support of the Rohingya then it might worsen the situation because the persecution of Rohingya is largely motivated by a fear of Islam. Bangladesh has often represented the first destination of the Rohingya asylum seekers. It shares borders with Myanmar, shares the common religion, and more importantly recognizes the humanitarian needs of the undocumented Myanmar migrants. While, the Bangladeshi government provides the Rohingya minority with the much-needed refuge but it cannot be definitely said if it is committed to finding a durable solution to this issue. Bangladesh is among the poorest and most populated countries in the world. The government is likely to be concentrated on more internal issues. Following the 2015 migration emergency, Bangladesh has started to turn away new migrants. The most troublesome aspect of this problem is the fact that the Aun San Suu Kyi administration doesn’t address Rohingya as it’s top priority. A number of fellow Nobel laureates have come forward criticizing Suu Kyi for her ignorance. It has become increasingly difficult for the international community to provide the Rohingya with any humanitarian aid as it has been completely denied by the government. The Association of the Southeast Asian Nations (ASEAN) could play a major role in helping the Rohingya. This could be done with economic sanctions on Myanmar to reduce the outright discrimination and harassment of Rohingya. The ASEAN has plenty of leverage and could be successful in extracting action from the Myanmar government. However, this could be a problem since ASEAN specifies non-interference in the domestic affairs of member states as one of its founding principles. An interference policy from ASEAN would require the political will of its member states. Another course of action for ASEAN could be to build upon the Bali Process and work towards establishing a common policy framework concerning illegal migrants and refugees. The United Nations would be a valuable ally in this regard. There were some efforts done in this direction when two international meetings were held among nations directly coping with the refugee emergency. Unfortunately, the meeting did not materialize into anything substantial. ASEAN could envision getting help from the European Union too, which is dealing with a similar problem. The EU already has a framework for regional cooperation, which might inspire ASEAN to come up with a comprehensive framework of its own. The European Union has already granted funding through international forums and cooperation. It would be a good resource in helping ASEAN to address the issue of refugee and migrant management. The European Union and the United States could help pressure the Myanmar government with sanctions, which they have previously used against the junta. In the end, the state of the Rohingya emergency will depend a lot on how the regional states respond to the crisis. The regional nations should come up with a long-term plan supported by the international community to establish a legal framework to deal with the refugee crisis. In the short term, the regional states should solely concentrate on improving the living conditions of the Rohingya in Myanamar and helping the displaced members of the community find a safe home.